Choose themes specifically designed for plumbers. Whether you are a one person shop or have a full staff, your site will be professional and express the personality of your business. It can be difficult to even fathom the concept of answering your phone for a client while both of your hands are elbow deep in someone’s bathroom floor, but clients still expect you to. This can be frustrating for both you and your clients, and potentially lead to you losing clients as they grow irritated that they can’t get ahold of you in an emergency. 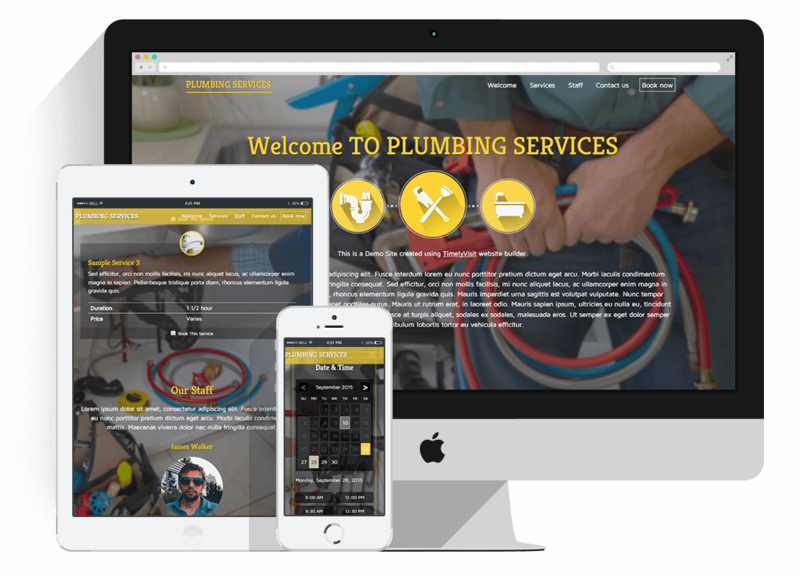 Cut down on the frustration in your plumbing business with a professional plumber web page. Let your potential clients know your prices and highlight your skills while allowing both new and returning clients to easily schedule appointments online. Set up your plumbing website in a matter of minutes with Timelyvisit.com.